One thousand four hundred men, under General Josiah Harmar, were despatched to the heart of the hostile Indian country, around the head-waters of the Maumee. 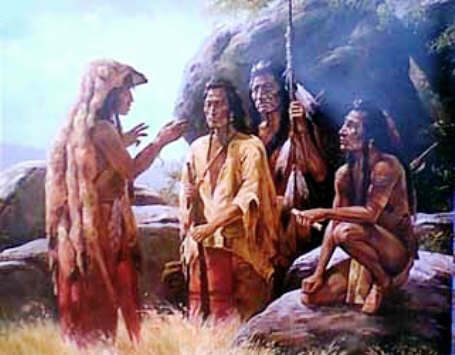 They gained the Indian encampment at the Maumee Ford unobserved, on the morning of October 21st, but were discovered by the Indians in time to frustrate Harmar's plan of surprise, and were themselves defeated in two separate engagements, and driven back with loss, mainly through the superior abilities of the Miami chief, Little Turtle. The flourishing city of Fort Wayne, at the confluence of the St. Mary's and St.. Joseph's, is near the scene of Harmar's defeat. Blue Jacket, an influential Seneca chief, was associated with Little Turtle in the command of the Indians engaged. This story of Wars with the Western Indians is featured in the book entitled the Indian History for Young Folks by FrancIs F. Drake and was published by Harper Brothers in New York and London in 1919.